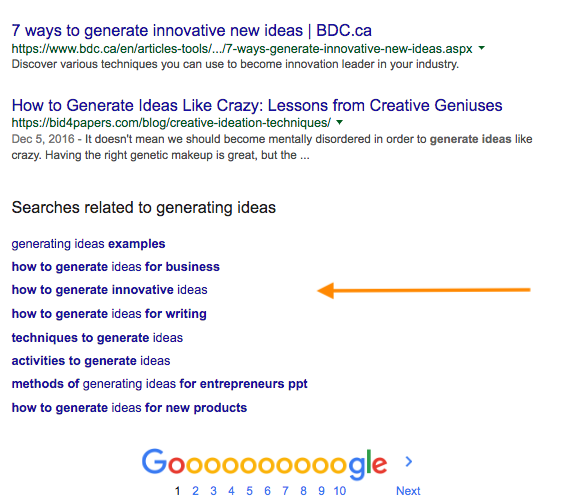 Generating new ideas for your content marketing strategy is important because, well, where would the content be without the ideas? But while it's easy enough in theory to say that you'll create 30 new blogs over the next six months, actually coming up with 30 new blog topics isn't so easy - especially if your company already has a decent library of content. So how can you get those lightbulb moments of new ideas, and translate them to content to ultimately engage your readers (and impress your boss)? Discover how to make your content marketing more effective with the Content Mapping guide. Download your copy here. I bet you'll be as happy as I was to discover that there's actually a process to help you come up with great ideas - and it's not just for those über creative people. A technique for producing ideas describes the much used process in five steps, which results in creating "a new combination of old elements". 1) Gather material - this requires you to constantly be curious. People that tend to come up with great ideas are those that read a lot of different materials. This will help you build up a mental library of those old elements, or you can even build up a physical library. Save any articles you find interesting in a Google drive - they don't have to be relevant to the topic you need to write about, as general knowledge will help you to create the all important connection of elements. 2) Work over the material in your mind - take time to digest the content you read and really understand the various angles. Consider how the content you've read can be related, connected or combined to create an interesting new concept. 3) Step away from the problem - MindTools describes this step as employing enablers, which means doing things that assist idea generation instead of actively provoking it. If ideas don't come to you straight away, your brain probably needs time to rest and organise information on its own. Step away and do something you enjoy or something that isn't what you usually do when you're trying to come up with ideas - do some exercise, go to a coffee shop, or just call a friend. 4) Allow the idea to come back to you naturally - once your brain has had time to process the information and the problem, it will naturally start to connect the dots and give you those awesome 'aha!' moments. Just remember to write your ideas down! 5) Test your idea in the real world - once you've got your idea, figure out how this can be translated into a blog, eBook, infographic, website page etc. 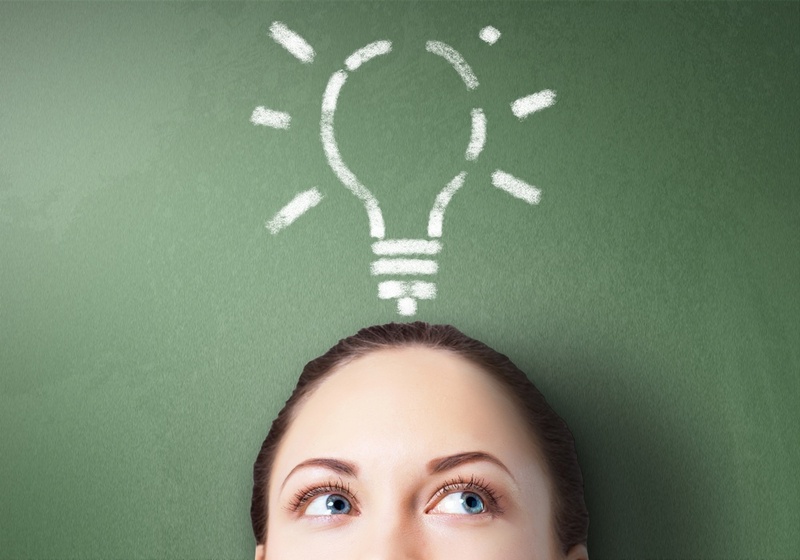 You may find that your idea needs tweaking or it's better suited to a different type of content. How can you use this process to create content? It's one thing to practice the process, but it's another to actually come up with relevant ideas for your work - so what can you do to help facilitate the process at work? Firstly, take yourself back to your buyer personas. Think about what their reading habits are - where do they go to get information? Do they read certain blogs or websites? Are they trying to solve challenges, or achieve goals? Using a tool like Buzzsumo can help you find content that people are frequently searching online for, or you can simply ask your contacts where they go for information. Next, consider what your competitors are doing on their website and blog. This can be especially helpful if you don't have any data on your persona's reading habits. While you can't copy their ideas, you can get a better idea of which content resonates well with their audience. Question and answer forums (like Quora) can give you great insights into what people are searching for. This is helpful if you really have no clue where your audience is looking for information, and will help you gain insight into the challenges people are facing regarding topics or keywords relevant to your business. Ensure you use your search engine optimisation efforts to your advantage. If you're already using Google Search Console, you will be able to see which queries your website users type into Google to find your website. Also make use of Google's 'related searches', which will either autocomplete for you when typing a query into the search bar or be available at the bottom of a search result page. Lastly, utilise other people in your team - even if they're not part of the marketing team. It's amazing how a fresh set of eyes from different departments can help you come up with new ideas and perspectives, and ultimately new content. Organise a brainstorming session (around one hour is fine) with a clear agenda to keep people on track. Use icebreakers (like word association games) to warm people up and get the creative juices flowing. Then you can dive into a brain dump, where everyone writes down everything they know about a certain topic or any relevant ideas they have. The goal is to get as much information as possible and to not focus on the quality of the information. You can then gather all this information and see how they can be connected to generate ideas for your content marketing strategy. So now you have a basic process to get you starting to create new ideas for your content marketing strategy. If you need a little more help to get your strategy sorted, download the free Content Mapping guide to learn more about using content for your customers (there's also some handy templates included).